I'm sure my excitement for Lilly Pulitzer and Pottery Barn's recent home decor collaboration to come as no surprise to many of y'all. I've adored both brands since I was younger so naturally, the two working together created a really great collection of home decor pieces. 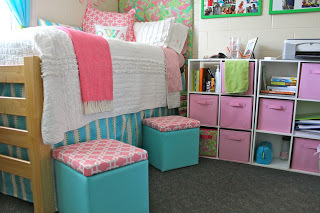 If you have been following along since the beginning, you may have remembered that my freshman year dorm room was basically a Lilly paradise. At the time, Lilly Pulitzer and Garnet Hill had a collection of bedding and home decor items that my roommate, Nell, happened to have. Since I was determined to have a headboard made with Lilly fabric our room did not lack color. Our RAs said that our room looked like "something straight out of Southern Living" while strangers walking down the hall stated "rumor had it they only met once before college." Clearly the dorm decorating trend that we were so used to with our friends at Alabama and Auburn didn't really make it to South Carolina until after our freshman year. 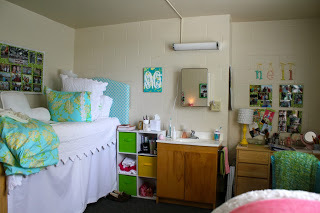 I did love that first dorm room! Now that I've graduated college (I remember situating all of that Lilly in my first dorm like it was yesterday) and have decorated my bedroom in a bit of a more subtle fashion, I don't have as much of a need for these new cute Lilly and Pottery Barn pieces but that has not stopped me from browsing. 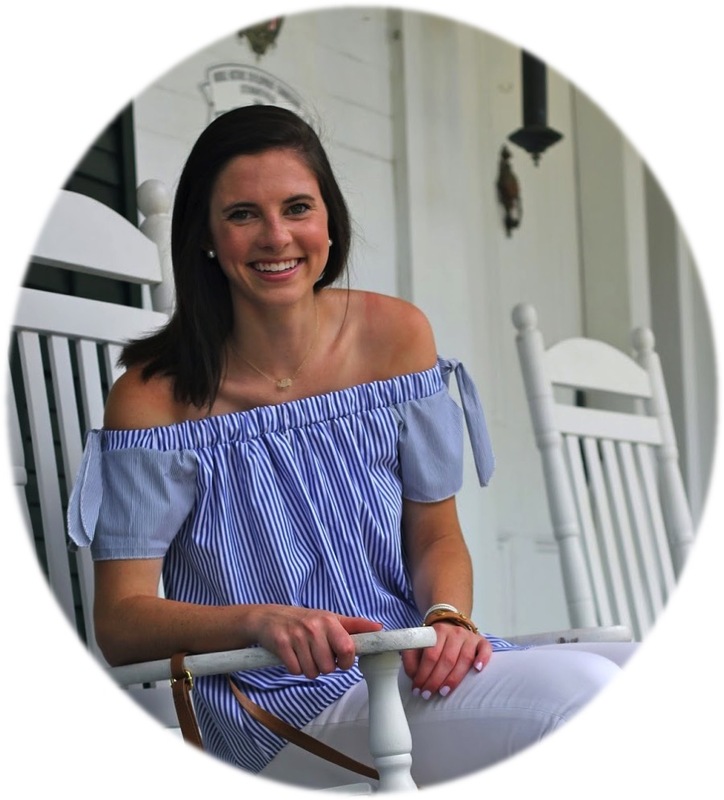 While there is plenty of traditional Lilly Pulitzer whimsy that I chose to accessorize with at the beginning of college, there is also a significant amount of pieces that have the same Lilly charm in a bit of a more mature manor. The accessories are really calling my name and I'd be surprised if I didn't end up with at least one of these cute pieces before long. In case you're on the hunt for a way to brighten a room with two of my favorite brands I've rounded up some of my favorites from the collaboration. Keep in mind, there are items on PB Kids, Teen, and the regular Pottery Barn site. I had the best time looking through these items and I know that you will as well. You can shop these piece by clicking directly on them in the graphic! I've also included a few additional favorites below the image too. I'd love to hear which products you are loving from this collaboration! They have the cutest things for nurseries and children's rooms-we find out the gender of our little one in exactly 7 days and if it's a girl, I'm shopping this collection on the ride home!